This week we begin Advent and a new sermon series based on Matthew Rawle’s book, The Redemption of Scrooge (available in paperback or as a digital download from Cokesbury; also available from Amazon). As we have come up to this exploration, I have invited members of PB UMC to get together with others to experience Charles Dickens’ A Christmas Carol, whether in film or in some of the live performances. You may also read or listen to the story by visiting your local library, listening to a free audiobook or a free e-book. I have been in collaboration with a friend and colleague in Nebraska in preparation as well, and I hope you find this time one that refreshes and engages. These Sermon Previews will offer ways to participate beyond the sermons themselves, though full participation is surely not required. However, I think joining in as much of these as possible will deeply enhance the possibility of spiritual growth this Advent season. 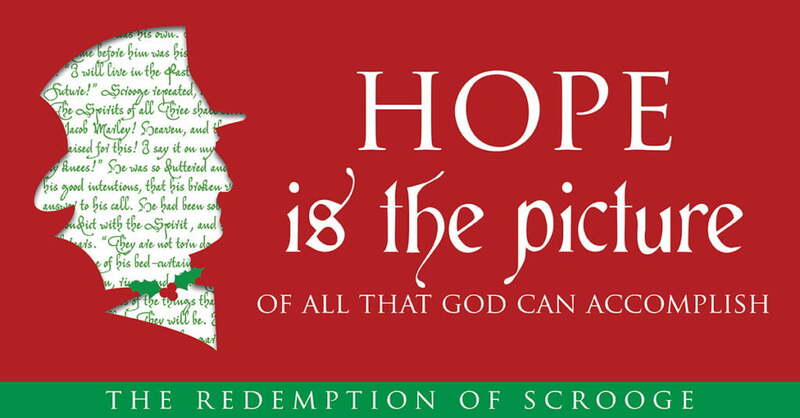 Each week’s Sermon Preview will include some suggested scriptures that are reflected in The Redemption of Scrooge and may be lifted up during each sermon on these Sundays in Advent. In addition will be sub-sections of chapters in Rawle’s book for those who follow along in that way and may be used as a kind of daily devotional. With this introduction in mind, I invite you to take a moment this long Thanksgiving weekend to take an objective look at the world. How do you see people treating each other? What seem to be the biggest priorities? Do you reflect these priorities as well? If not, what would you prioritize differently? 1“The kingdom of heaven is like a landowner who went out early in the morning to hire workers for his vineyard. 2After he agreed with the workers to pay them a denarion, he sent them into his vineyard. 3“Then he went out around nine in the morning and saw others standing around the marketplace doing nothing. 4He said to them, ‘You also go into the vineyard, and I’ll pay you whatever is right.’ 5And they went. 7“‘Because nobody has hired us,’ they replied. Beginning this Sunday, I invite you to join in deeper exploration of the text above and others as we look toward Christmas and the celebration of Emmanuel – God with us. With the beginning of this new series, we are exploring the ways we might experience God outside the bounds of a particular building or facility. I noted in the sermon that I especially enjoy these kinds of sacred/secular parallels because of the infinite expanse of God’s presence and influence. Where do you most often experience God? Is it a more “religious” space? Nature? Somewhere else? How does this exploration alongside a “secular” literary source strike you? In terms of God’s economy, have you considered the idea of free grace unfair? Have you ever thought of someone’s coming-to-faith unreasonable or lacking because of when they did? How might that compare to your own journey of faith? What is a way you might challenge yourself to live more fully the grace that God has given you?